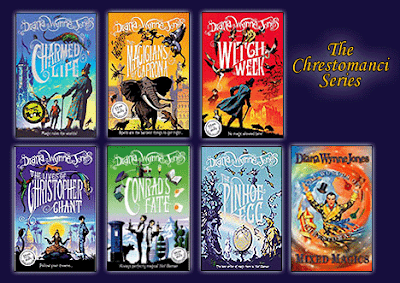 Favorite Series was a bit of an easier prompt for me than the last one because there is one series that I've already read many times and plan to read many, many more -- Diana Wynne Jones' Chrestomanci books. I've actually written two different posts on this series -- one in 2008 in the first month of my blog and the other in 2014 as part of that year's DWJ March. Charmed Life is a dark story and a tough one to start the series with for some readers but it hooked me on the entire idea of a set of parallel words, some with magic in them, that are all monitored by one man -- the Chrestomanci. He only features briefly in Witch Week and The Magicians of Caprona and so I didn't like them as much at first but after a couple of rereads and a radio play, they really grew on me too. I love Christopher Chant and Millie, Tonino, Conrad, Cat Chant, and even Nan Pilgrim! Right now I'm listening to an audiobook of The Lives of Christopher Chant and I even got Z listening for a while too (and he declared it a rip-off of Harry Potter until I told him that this was written first and then he got on the right side of the issue!). These books offer something new on every reread but I still envy those of you that have them all ahead of you. 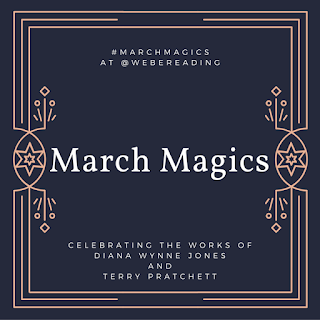 Also, as a special treat this year, Goldeen Ogawa has recorded herself reading a scene from The Magicians of Caprona for your listening pleasure. It is super fantastic so go and have a listen. She has a lovely speaking voice! 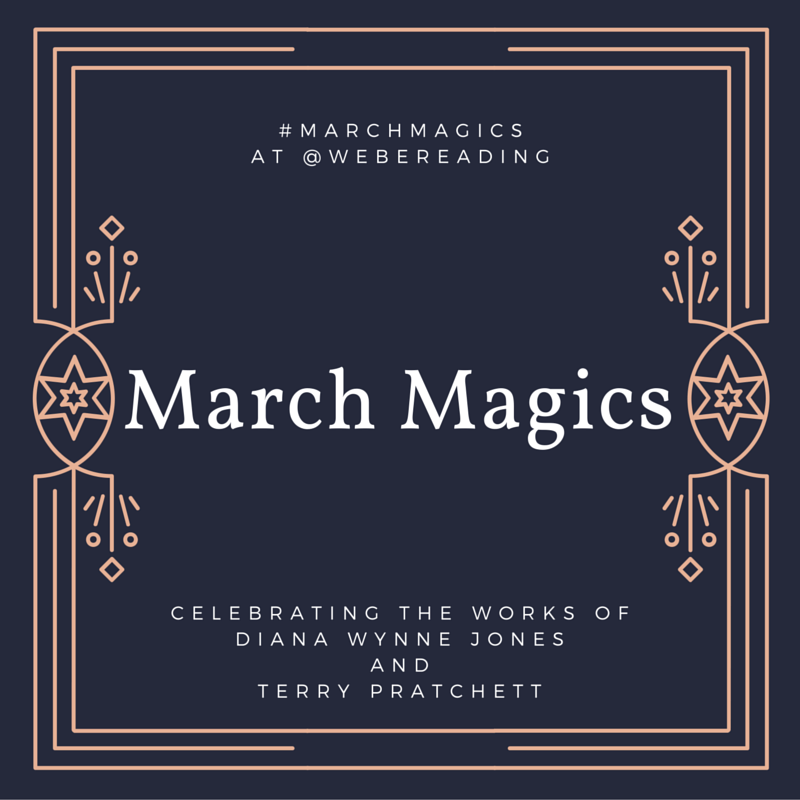 What is your favorite DWJ or Pratchett series or which series do you want to try?